caused or alleged to be caused directly or indirectly by this book. companies and products mentioned in this book by the appropriate use of capitals. However, Packt Publishing cannot guarantee the accuracy of this information. Cristina Nicolàs Lorente has been working with Dynamics NAV since 2005.
and support to end users. a company's processes you will be able to do the appropriate developments. on any other company related topics. read. It is definitely the best way to learn. which had really good comments coming from different Dynamics NAV experts. believed in me and she has been pushing me to find the time invested on this book. Without her, this project would have been much more difficult than it turned out to be. the needed confidence to take my own steps and responsibilities. all contributed to build the professional, I am today. transitioning to Agile Management and Agile Development for better project success. management) whenever she gets the chance. the values I learned from my parents, that made me be the person I am. I also want to dedicate it to Rosa, my wife, who gave birth to such beautiful babies. I would like to thank Cristina. She is my sister, my friend, and my colleague. We both wrote this book and had a great time together while writing and learning. I wish us many successful projects together, now and in the future. Dynamics NAV, and MCTS on Sharepoint, and different .NET technologies. He has a Masters degree in Computer Engineering from Politecnico of Turin. is architecturing and developing solutions based on Microsoft technologies. http://www.demiliani.com or via Twitter (@demiliani). and a Council Member of Uganda Technology and Management University. he wrote an extended essay on Gold Trust Bank. and ePub files available? You can upgrade to the eBook version at www.PacktPub. com and as a print book customer, you are entitled to a discount on the eBook copy. Get in touch with us at service@packtpub.com for more details. library. Here, you can access, read and search across Packt's entire library of books. on Twitter, or the Packt Enterprise Facebook page. Which invoice has been paid? information about what they need from the system. And they are right. that confuses readers and may even discourage them from reading further. is how people tell us they have learned and understood the application. NAV functional knowledge to become an expert, and this book can help you with it. Dynamics NAV translates all the transactions to accountancy language on the fly. have to charge for the items delivered and have to pay for the services received. and to analyze customer and vendor extracts and their outstanding balances. that is explained in the chapter. close, and consolidation with other companies. is introduced into the system, you should be able to analyze it. in a way that is meaningful to the company. it with your Dynamics NAV database. management functionality is meant to help companies to predict future cash needs. it can translate transactions to accountancy language according to your company rules. and configuration of posting groups, and the definition of number series. application has a lot more possibilities. 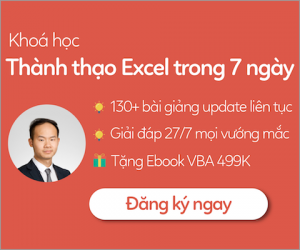 of Microsoft Dynamics NAV 2013. Dynamics NAV as their ERP and financial management system. organizations to use the system for their daily work. develop better features, and more integration with the existing ones. on the View icon found on the Home tab of the ribbon." us to develop titles that you really get the most out of. see our author guide on www.packtpub.com/authors. to help you to get the most from your purchase. other readers from frustration and help us improve subsequent versions of this book. be viewed by selecting your title from http://www.packtpub.com/support. Piracy of copyright material on the Internet is an ongoing problem across all media. with any aspect of the book, and we will do our best to address it. an accountant reflection: invoices and credit memos. can be used as an input of another area. contacts, marketing campaigns, and so on. planning, costing, and other such areas. and receiving, locations, picking, assembly, and so on. execution, costing, subcontracting, and so on. time sheets, work in process, and other such areas. • Resource Planning: Manage resources, capacity, and so on. processing, planning and dispatching, service tasks, and so on. • Human Resources: Manage employees, absences, and so on. Some of these areas will be covered in detail in this book. has a reputation for being easy to customize, which is a distinct advantage. are meant to cover country-specific legal requirements or common practices. as each case is particular, but we'll try to give you some highlights. to your customers, so they are only going to measure you by the price they are getting. to cover those needs that make you different from your competitors. purchase areas are also used in almost any Dynamics NAV implementation. the Financial Management area. In Dynamics NAV everything leads to accounting. in terms of money, the transactions and events that take place in the company. of getting errors and inconsistencies, and no real-time data. decisions, and they don't have to bother on entering the data anymore. since it ensures data integrity. You will never find an unbalanced transaction.